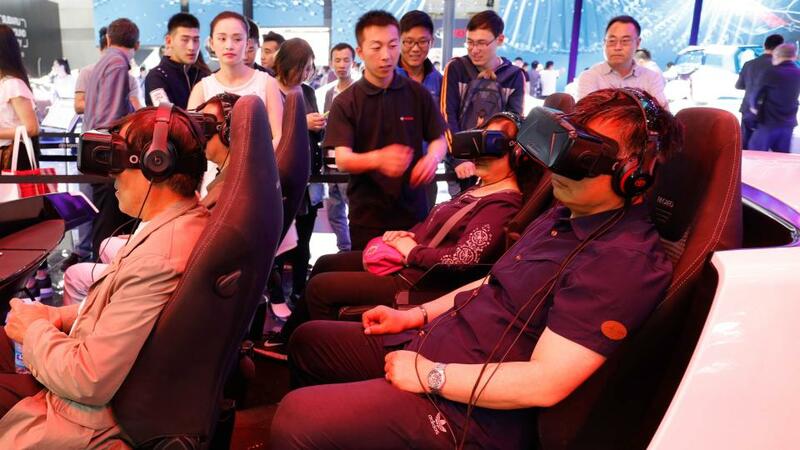 As red-hot virtual reality (VR) tech is shifting focus from hardware to content, Chinese companies are also keen to have a stake in the game, according to Zhang Rui, a member of the China Marketing Association, writing in a feature for Shanghai Securities News on May 6. VR headsets and their associated hardware are already amply available thanks to the involvement of industry leaders such as Oculus Rift, Sony PlayStation, HTC Vive and Google, argues Zhang. The real battleground has consequently become content. Digi-Capital, a US-based AR (augmented reality)/VR and video game industry consultancy estimates that the global VR market will be worth US$300 billion by 2020. Zhang thinks the high cost of producing VR-compatible content is the reason why giants like Samsung, Oculus and Google have been trying to build an open platform for producers or focus on live broadcasting. Zhang has noticed how eager Chinese companies are to join this new gold rush. Both listed companies and start-ups are already engaged in VR filmmaking and video game development, or are in the process of building open platforms for developers. In early May, LetinVR launched China’s first VR movie. Internationally renowned director Zhang Yimou, speaking in Beijing at the end of March, revealed he was a co-founder of a Chinese VR entertainment company. According to a report by the China News Service, Zhang also commented that some Chinese VR content is better than that submitted for his consideration by foreign companies.